Movies have a profound impact on our imagination, and we're not always aware of that. Many 20th-century Americans, when they heard a story about Moses, saw before their inner eye the face of actor Charlton Heston. And there are many, more subtle interplays between movies and the religious imagination. During Lent this year, you will have a great opportunity to explore the relationship between Scripture, imagination, and film with Rev. Casey Sigmon. This five week Lenten study has two primary goals: 1) to make us more attentive readers and interpreters of Scripture and 2) to make us a more attentive film audience, especially when viewing films that interact with the icon of our faith-Jesus. 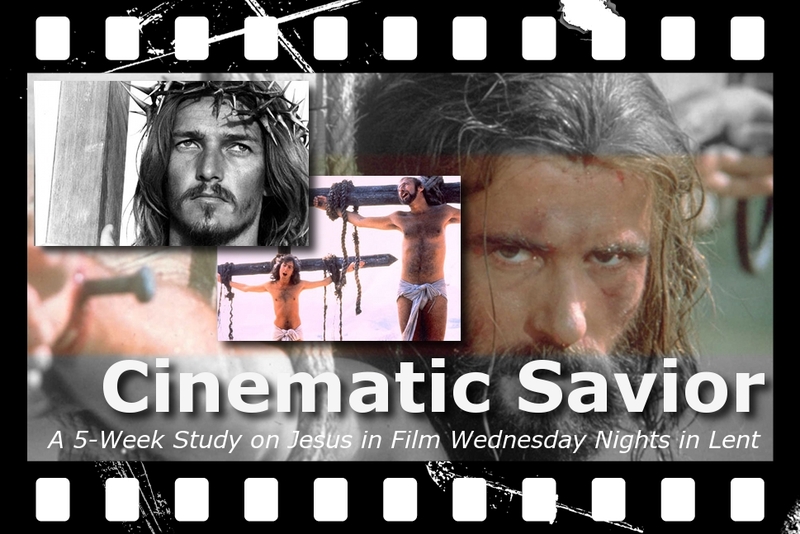 What makes achieving both tasks fun for the next five weeks is the use of various representations of Jesus in film—from Cecil B. DeMille’s King of Kings, to The Greatest Story Ever Told…from The Life of Brian and Jesus Christ Superstar, to Jesus Film and beyond! Since the advent of cinema, Jesus has been making an appearance on the big screen. You will even have a chance to test your own film making skills before the series is through! Come join us on Wednesday nights beginning February 20th for dinner, fellowship, and, starting each night around 6:30pm, conversations about our Savior on the silver screen. We talk about movie lingo, the road ahead, and other things. We grab the camera and play! About our Leader: Casey Thornburgh Sigmon is a lover of all things pop culture and theology. She studied Film as an undergraduate at the University of Kansas and then went to McCormick Theological Seminary in Chicago to whet her appetite for theology. She was ordained in the Disciples of Christ Pentecost Sunday 2011 in Chapel Hill, NC. These days Casey is working on two projects: a PhD in Homiletics and Liturgics at Vanderbilt and growing the first addition to the Sigmon family (due in June). She and her husband Phill are new members to Vine Street and very much look forward to getting to know the community better!